Today I'd like to introduce you to Zoe M. McCarthy, one of my accountability partners and someone who has amazed me with all she does as she systematically plans her work and works her plan. Her debut novel, Calculated Risk, comes out this month and here she's sharing some secrets on how she's dealing with the marketing as an introvert. I’m a writer not a promoter. When writing, I do little socializing. I research my books on the Internet. My agent is happy to correspond through email. I even got contracted through email. So, how do I become a marketer and face live people, saying clever things? 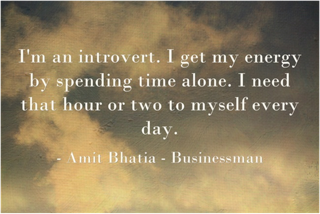 We introverts can market our books as well as our extroverted friends. Click to tweet. Introverts get their energy from within, not from other people like extroverts do. So, all the interacting introverts must do to promote their books siphons their fuel. Here are 10 ways I handled marketing activities. Way 1 - Talking to experts. First, I always researched the subject on the Internet. When I knew terminology and what I was asking about, I wasn’t as intimidated to talk to experts. This helped in calling about newspaper ads, booking a signing, and ordering promotional materials. Way 2 - Ordering Promotional Materials. I used the “chat now” option when ordering bookmarks, posters, etc. After written exchanges with the expert, I got comfortable with the person. Then when things got complicated, I was ready to communicate in a more efficient manner – a telephone call! Way 3 - Talking on the Phone. Before I called newspaper reps or bookstore managers, I made a cheat sheet. I wrote my own name and phone number, the name of the company and contact person, the title of my book, any dates I was considering, all my questions, and anything I might trip on. Just writing it calmed me. Way 4 - Calling on Fellow Authors. I joined several author groups and participated through emails and Facebook. We help each other. Some are veterans at marketing activities. They share what they’ve learned and field questions. It’s much easier to ask my questions of a friend, even a cyber friend, than a stranger. Way 5 – Finding the Energy. I tackle visits and phone calls in the morning. Because I lose energy quickly in interacting with others, I need to be well rested. I also make time to pray. Way 6 – Using the Internet. I belong to a Yahoo group of authors with the publisher of Calculated Risk. They organize group ads published in a popular magazine. They also hold monthly Facebook meet-the-author parties with readers. I haven’t done a blog tour, but I accepted invitations to post on several blogs, all through relationships with online writer groups. Way 7 – Getting the Right Helpers. For my local book launch party, I enlisted two helpers who are active in church and the community and know many people. They amazed me when I listed the people I needed to contact. Each took turns saying, “I’ll do that.” Helpers like these are an introvert’s dream. Way 8 – Interacting from a Distance. For promotional exposure, it’s easier for me to give a prepared talk from a podium than to mingle in social events. I know numerous introverts who are energetic speakers, but flee from circulating with attendees afterward. I lead writing workshops and speak at spiritual retreats. It’s dining with the participants that’s hard for me. But the more I do it the easier it is. Way 9 – Role Playing to Interact. 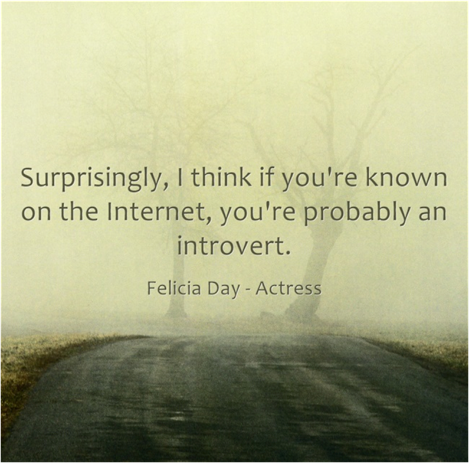 Many actors are introverts. After dress- as-your-character dinners at conferences, I learned it’s easier to promote my character than me. Others concentrate on the costume and the character, and less on me. So, I’ll wear my Cisney marketing rep costume to signings and my launch party. Way 10 – Giving Yourself a Break. Radio and TV interviews can be effective to promote books. Even with prepared answers, I’d be terrified interviewers might ask unscheduled questions. The clever answers would occur to me ten minutes after the interview’s end. I gave myself permission to avoid such torture. I compensate by signing up for as many written interviews as I can. My marketing attempts might be ineffective, but it won’t be because I’m an introvert. What ways do you other introverts handle marketing your books? Zoe M. McCarthy believes the little known fact that opposites distract. Thus, she spins inspirational contemporary romances entangling extreme opposites. 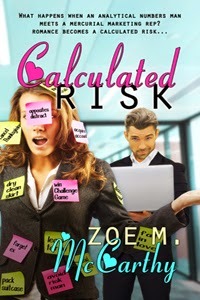 Her tagline is “Distraction to Attraction, Magnetic Romances Between Opposites.” Calculated Risk, Zoe’s debut novel, will be available November 21, 2014. Christian Fiction Online Magazine published two of her short stories. Zoe enjoys leading workshops on the craft of writing, speaking about her faith, planning fun events for her 5 grandchildren, and exploring the Blue Ridge Mountains, where she lives with her husband, John.